Credit the laidback Midwestern vibe, or the relative availability of regular gigs, but jazz musicians from the Windy City sometimes seem to enjoy a more communal sense of development than their East Coast cousins. The highly competitive New York scene may be the undisputed center of the jazz world, but Chicago's fertile scene has generated its fair share of cutting-edge talent. 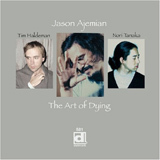 A current example is bassist Jason Ajemian, whose Delmark Records debut, The Art of Dying, features his own longstanding trio. A busy sideman, Ajemian is a member of the Chicago Underground Trio, Exploding Star Orchestra, A Cushicle and numerous other regional bands. Smokeless Heat, his close-knit trio with drummer Noritaka Tanaka and tenor saxophonist Tim Haldeman is joined by a handful of local associates, including Jamie Branch (trumpet), Matt Schneider (guitar) and Jason Adasiewicz (marimba). Varying from trio to sextet, the fluctuating ensemble navigates a program that encapsulates the diverse continuum of jazz history. From gorgeous ballads and ethereal tone poems to simmering blues and angular post bop, the rotating line-up handles each style with utter conviction and carefree conversational acumen. Ajemian and Noritaka Tanaka reveal their deep-seated rapport over a wide range of forms. Their rubato interplay on "Manisia Lynn" ebbs with a leisurely pulse and thoughtful articulation, whereas the knotty "U're The Guy" catches them in a raw mood, as they careen through an electrifying free bop shuffle. Tim Haldeman is a refreshing new voice with a textbook knowledge of the tenor tradition. His languorous cadence and dulcet tone on "Miss O" invokes the breathy timbre of pre-swing tenors, while the caterwauling multiphonics that erupt from his tenor on "9 Car" conjure the strident attack of Post-War modernists. Jamie Branch makes a perfect foil to Haldeman as they trade lines, alternating fiery brio with lyrical restraint. Matt Schneider is a nuanced stylist adept at understated sentiments and Jason Adasiewicz's woody marimba tones add a kaleidoscopic patina to the set. Scattered word-by-word across the set, the album title is broken into four miniature vignettes that serve as recurrent fanfares. The session alternates between tantalizingly brief sketches and more conventional tunes, encompassing a wide variety of approaches, from the bluesy soulfulness of "Sackett's Harbor" to the ominous drama of "Machine Gun Operator." Recorded for a radio broadcast, the 24 minute trio improvisation "Smokeless Heat Live on WMSE, Milwaukee" concludes the record with a dynamic, focused exploration of moods, ranging from serene to vivacious, without devolving into meandering formlessness. 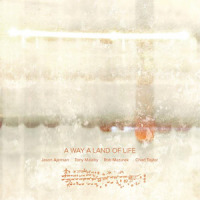 Another brilliant document verifying Chicago's ancient to the future jazz aesthetic, The Art of Dying is a vibrant example of what lies ahead. Track Listing: With or Without the Universalator (Birdie's Dream); The; Your Shirts; Art; Miss O; 9 Car; Of; U're the Guy (Keith Wood); Dying; Sackett's Harbor; Ludicrous Dreams and Solar Guided Lovehandles; Machine Gun Operator; Manisia Lynn; 2.4.7.9; Smokeless Heat Live on WMSE, Milwaukee. 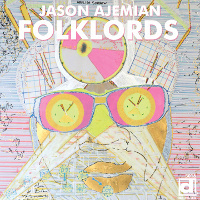 Personnel: Jason Ajemian: bass; Tim Haldeman: tenor saxophone; Noritaka Tanaka: drums; Jamie Branch: trumpet; Matt Schneider: guitar; Jason Adasiewicz: marimba.